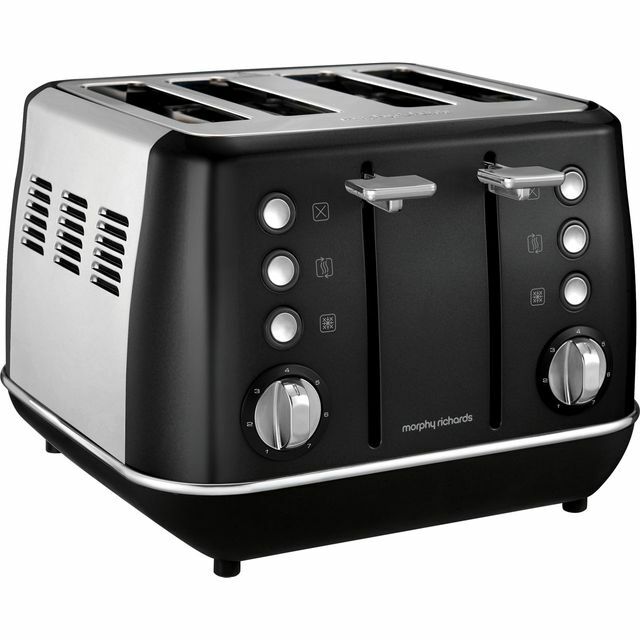 Whether you prefer teacakes, crumpets or bagels, this black 4 slice toaster from De’Longhi makes delicious breakfasts every time. You’ll find the high lift function really useful for these smaller items too, because it’ll help you take them out safely and easily. When you’ve used up the fresh loaf but need to make the packed lunches, the defrost function thaws frozen spare slices in no time. 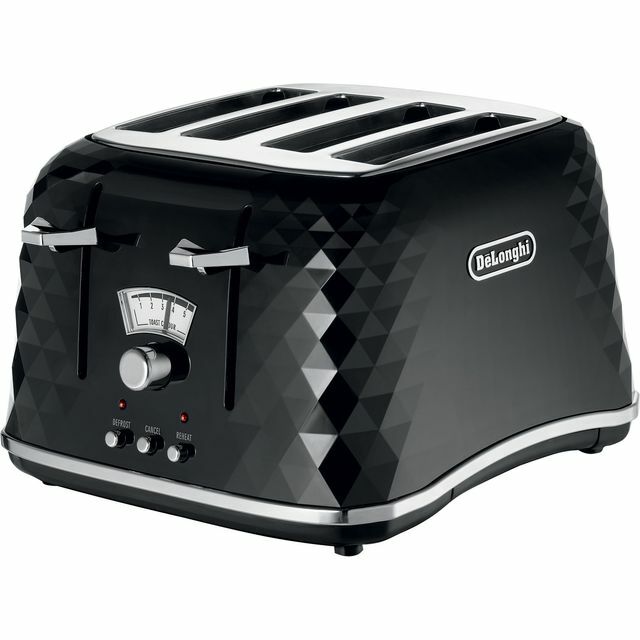 And, if your toast pops up while you’re filling the sandwiches, the reheat function will warm it up again when you’re ready to eat, without browning it further. It has a removable crumb tray as well, making it easy to clean up afterwards. Very pleased with this product, looks great and works perfectly. 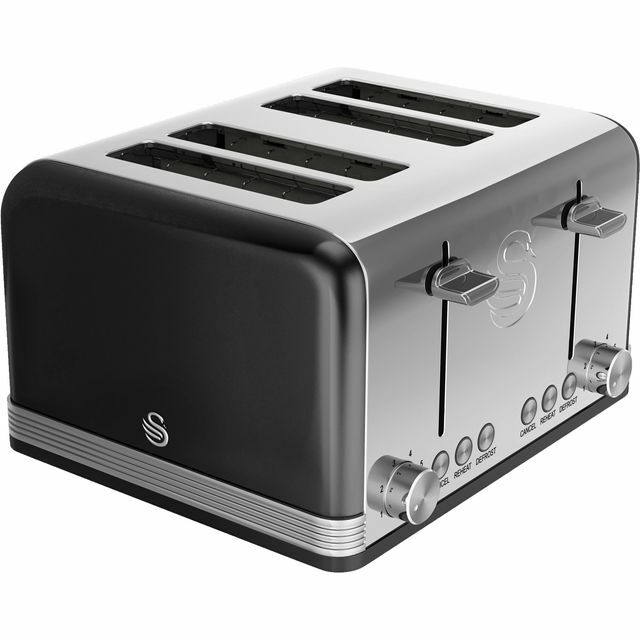 I like this toaster so much it was bought to replace an identical one that had an untimely end in an accident involving a small metal pepper shaker. Full scores for its ability to heat bread and its appearance is pleasing on the eye. This was my first time using ao and I’m wondering why I haven’t used them sooner. Speedy delivery with no dramas, very happy all in all. 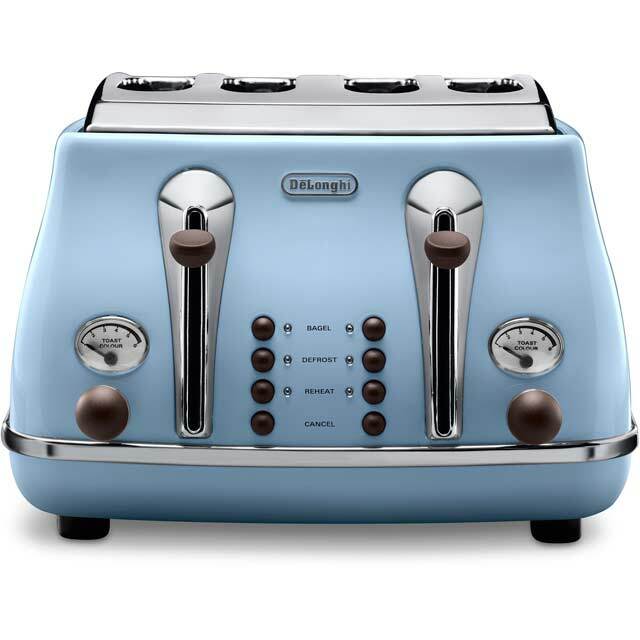 This is my second De'Longhi toaster. I brought my last one about 6-7 years ago. It is used regularly by myself and my family one of the most used electrical items apart from the matching kettle. Last week my daughter was toasting her hot cross buns when one side of the toaster refused to work. Alas that meant I had to purchase a new one. I have been so impressed with the last one I looked around to see if I could get one just the same. In the shops they were at least £20 dearer than from AO. Having purchased other domestic products from AO I was happy to buy from them again. Toaster arrived promptly. it looks just as gorgeous as the last one. It works just as well as the previous one, Very happy with my purchase and would definitely recommend this product. We are a family of 5 so I was looking for a bigger toaster. Firstly the delivery. Next day and early! Phenomenal. Delivery driver was very friendly. Toaster was promptly unpacked and turned on. First impressions: Looks good Easy to use Easy to keep clean Big!! But if you want a four slice what do you expect... In use the toaster is easy to adjust and seems a lot more powerful than our old toaster. The lower settings are more than sufficient. 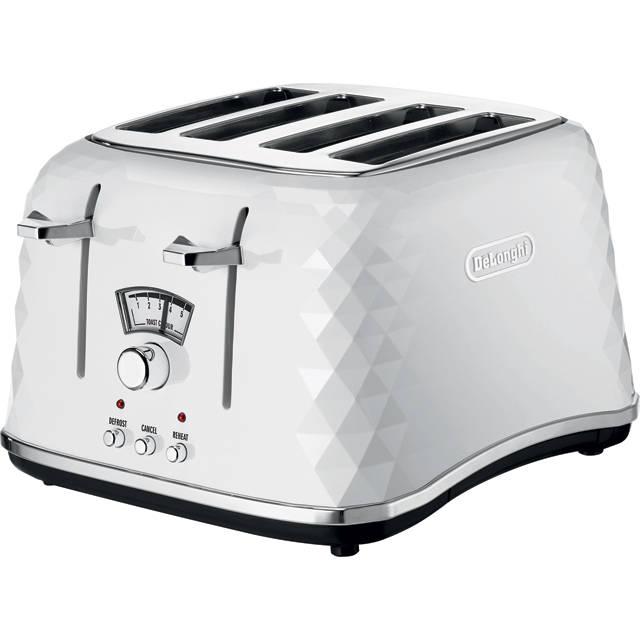 Toasting is consistent and controls easy to use. So far great bit of kit.